Chivas has a pedigree that not only includes well-known dogs but also very interesting European and African blood lines. His mother is very impressive Ch Twinny Ayaba from famous Ayaba Kennel. His grandfather from mother lines is Cruft Winner 2003, World Winner 2003, Dutch Champion, Belgian Champion, Croatian Champion, International Champion Jockular Jamal Aquamarin. Chivas father is German Ch Zuritamu Wingu. 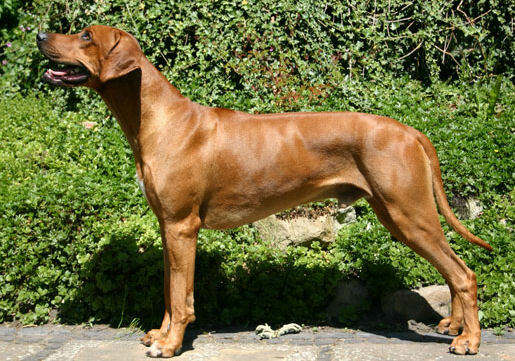 Chivas Ayaba is well-balanced, elegant ridgeback, with nice athletic body, good height and of correct balanced proportion with typical male facial expression, and elegant neck. Chivas has nice quality hair of wheaten color. Little white on forechest. He has deep chest and good forechest. Tail is correct settled. Front and rear angulations are very good and have correct feet. Excellent top line. Ridge is correct shape and length. In short, substance and elegance, power and balance. Chivas is a self-confident male with no fears. He is outgoing and curious, darling and good family member. Chivas is healthy dog, he doesn´t suffer from any illness or any kind of allergy. We have met a lot of nice people in dog shows, started new friendships and so we continued. As we were “new” in this, it was hard :). Today we know we did a great job, although we think Chivas is not only typical “Show Dog” in spite of excellent show results you see bellow.